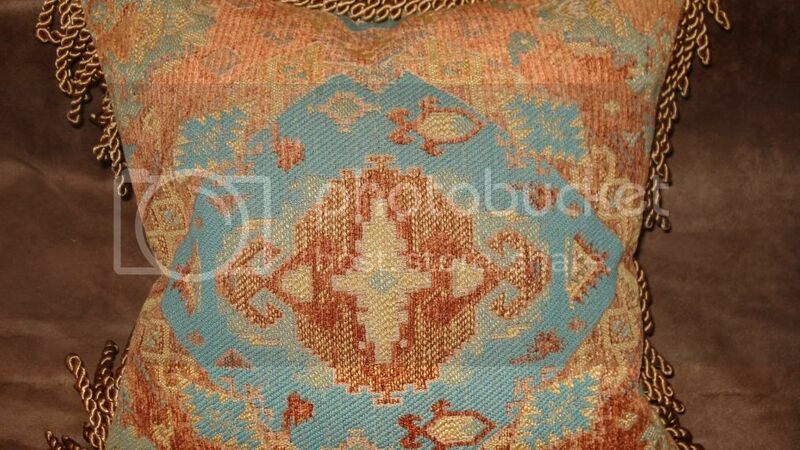 Tapestry Chenille Pillow. 18x18. Colours of New Mexico in deep turquoise, copper, and cognac. Bullion fringe in burnt copper colour accents the design. Dry clean. Zipper closure. Handmade in New Mexico.